You might be in the situation where you need a waterproof tent. And you need one quick. 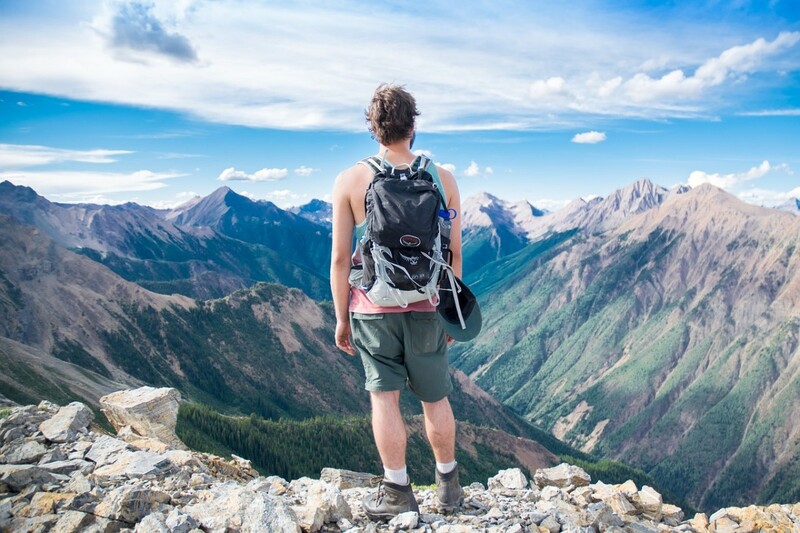 Maybe you are not very enthusiastic about backpacking, but you have decided to go on a weekend camping trip with your friends. However you are thinking about cancelling the event. 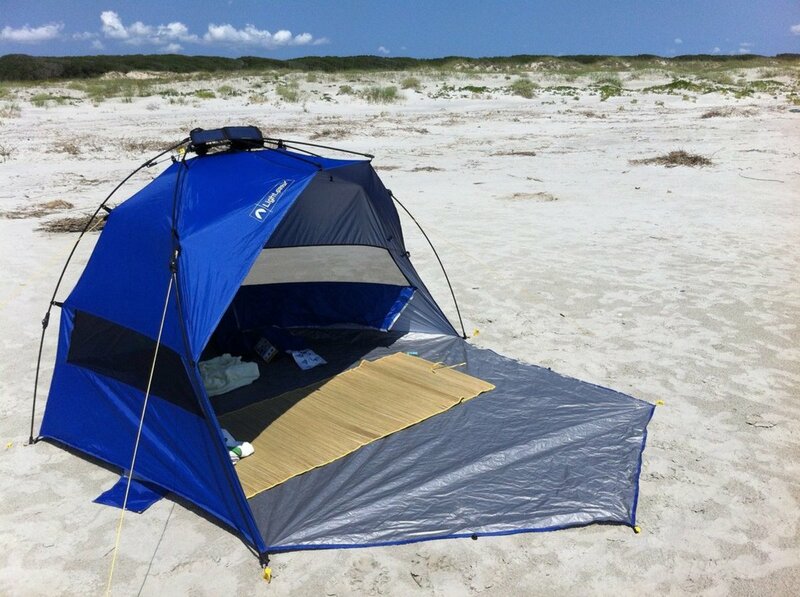 You don't have a waterproof tent, and buying a new one can cost hundreds of dollars - something you can't afford. But fear not! 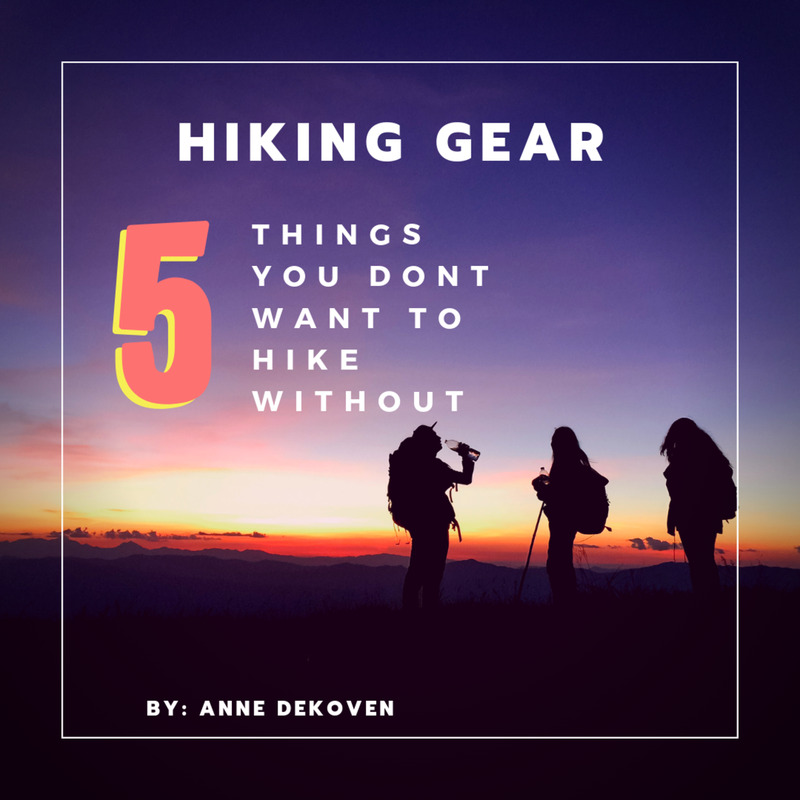 If you have any kind of tent, or if you can borrow one from your mates, you can make it waterproof by following the tips in this hub. First of all, you need to determine which areas of your tent need waterproofing. Did the waterproof coating of the wall come off? Is the floor of the tent leaking? Does your tent need a waterproof fly? There is no golden rule to waterproofing a tent. Different areas of your tent will require different kinds of care. The way to find out which area you need to work on is to fill the bath full of water and push the tent under the water. If little bubbles of air escape to the surface, you have found the area you have to work on. Then let your tent dry out in the shades. Some tents are not UV resistant, that is why you need to do this in the shades. Apply all the techniques in this hub at home. 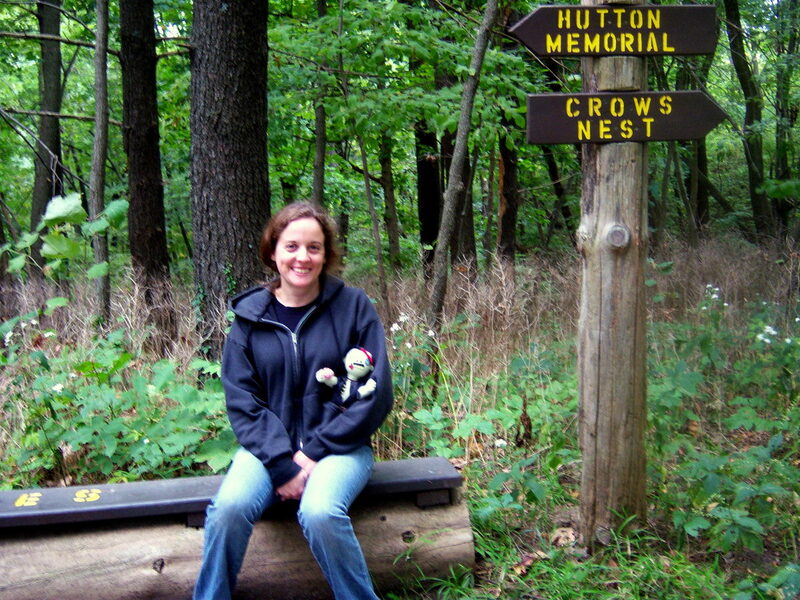 You never know what you will encounter outdoors. It is better to be on the safe side and do it at home where you can take care of any problems that might arise. Not to mention that you have a more controlled, cleaner environment to work in at home. Start by cleaning the fabric of your tent. 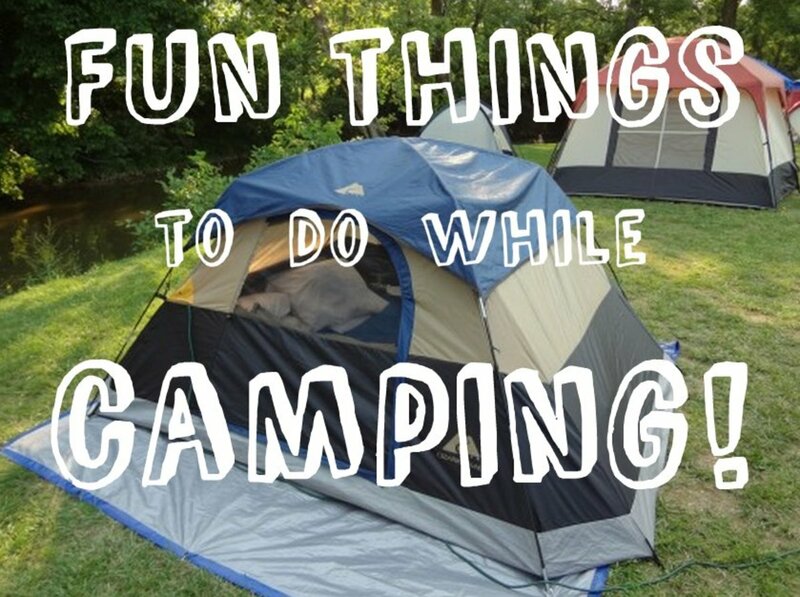 Neither part of the tent can be waterproofed unless it is dry and clean. Otherwise any layer you apply will cover only the dirt and come off in the first rain. Soak a sponge in warm water. Use a sponge with a soft surface, never use a sponge with a rough surface. It might tear the fabric of your tent. Never use a washing machine for cleaning you tent. The constant rocking of the machine will be detrimental to your tent. It will stretch, and eventually tear the fabric. What if your floor leaks? The floor is the most crucial part of your tent when it comes to waterproofing. 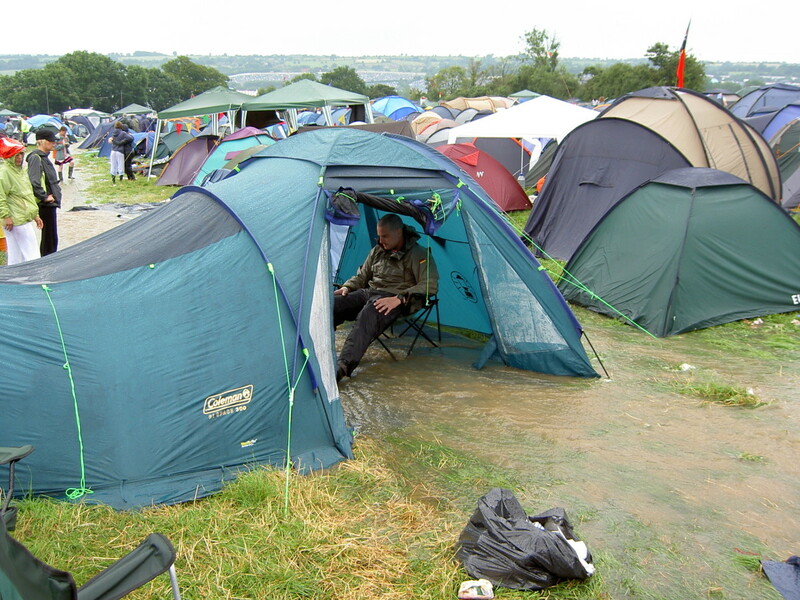 Even if it does not rain, a leaky floor will result in a wet tent. The moisture from the vegetation under your tent will appear on the inside of the tent. Use a tarp under your tent whenever you set it up. In fact you should do this even if your floor is in mint condition. 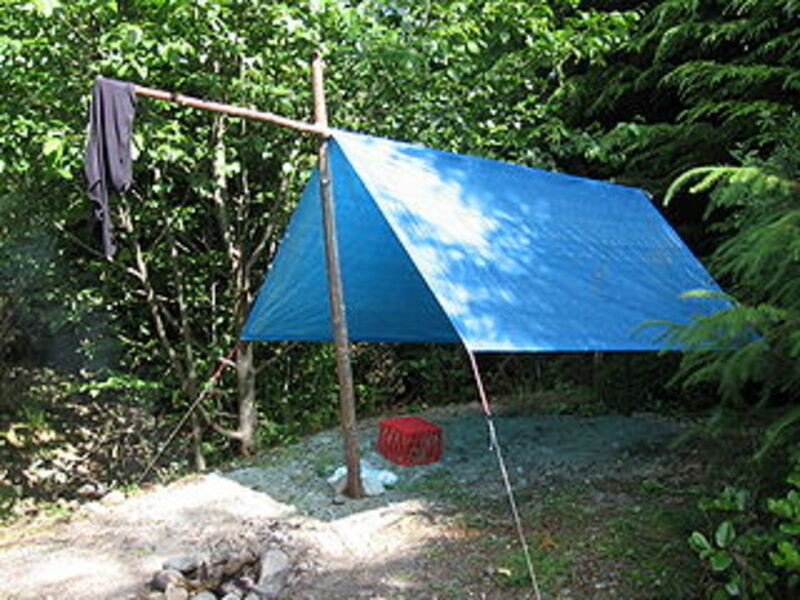 The tarp will prevent the rocks and vegetation trapped under your tent from damaging the floor. Most tents are factory taped, but not factory sealed. This means that the water can get in where the wall and the floor of the tent connect. Factory taped seams have a little piece of waterproof material between the double stiches. This is better than nothing, but it does not provide perfect waterproofing. You should apply a seam sealer. Buy one from Amazon, then apply it in a thick layer on the seam, and wait for it to dry. The seam sealer will provide excellent waterproofing, and will not allow the water to slip through the cracks. Then apply a waterproof spray to the whole floor. First apply it to the inside of the tent. Soak the floor in he waterproof spray. Then grab a piece of cloth and distribute the liquid. Wait for it to dry. You should always do this in the open. Most waterproofing sprays are not good for your health, it is crucial to not inhale any of the gas. Open all the doors and windows on your tent. Once the inside is dry repeat the same process on the outside of the floor. Soak it with the waterproofing spray, distribute the spray (you can use the same piece of cloth), and wait for it to dry. What if the wall leaks? The wall can be waterproofed in a similar manner as your floor. You can use the same waterproof spray as you did for the floor. Soak the wall with the spray. Distribute it with the cloth. Wait for it to dry. You usually don't have to apply as much to the wall if you are doing this right after you did the floor. Just squeeze the liquid out of the cloth onto the wall, and you are good to go. You should always use a rainfly with your tent. A rainfly is a layer made of plastic that should cover the whole tent, thus adding an additional waterproof layer. Most waterproof tents come with a rainfly, but if your tent doesn't have one, do not panic. 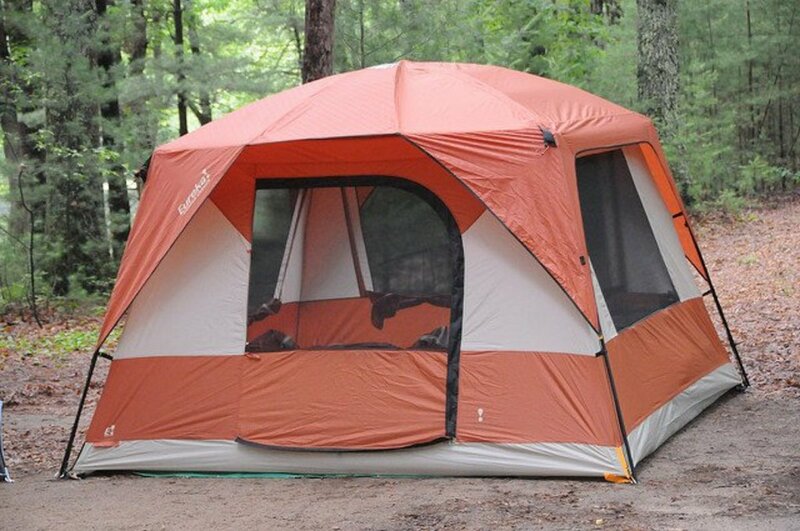 Most manufacturers allow you to buy a rainfly for your tent separately. If yours does not, you can buy a tarp from Amazon. The same kind of tarp that you put under your tent will work here. 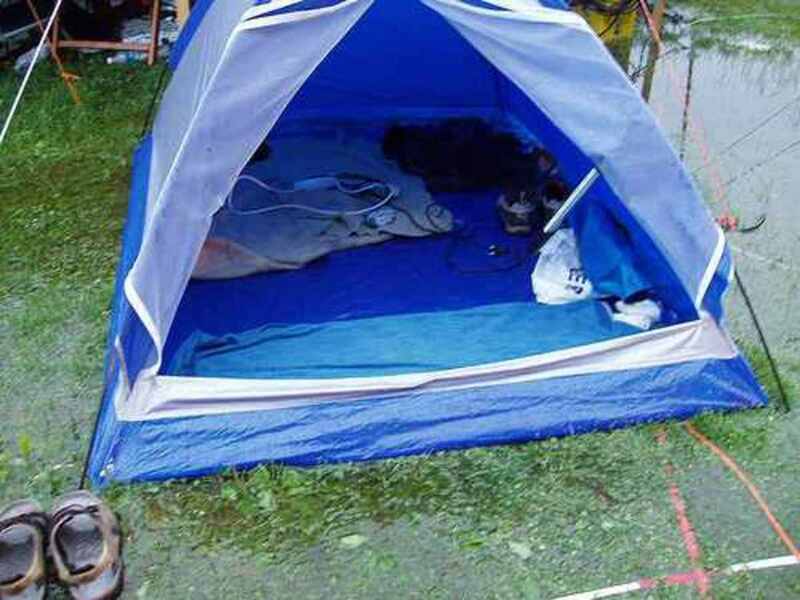 The rainfly should never touch the inner wall of the tent. If you are using a tarp, you can fix its place by putting rocks on the edges. Easy job. Which waterproofing sprays do I recommend? I find the Nikway TX Direct Spray-on to be the best waterproofing spray. It has several features that make this one my favourite. It not only makes your tent waterproof, but it enhances the breathability of the fabric. Unfortunately waterproofing sprays tend to have a horrible smell. A big positive of the Nikwax TX Direct Spray-on is that it has a very mild odor, nothing compared to some others I have tried. All in all, this is the water repellent I recommend. You can read some pretty strange pieces of advice on the internet about waterproofing your tent. 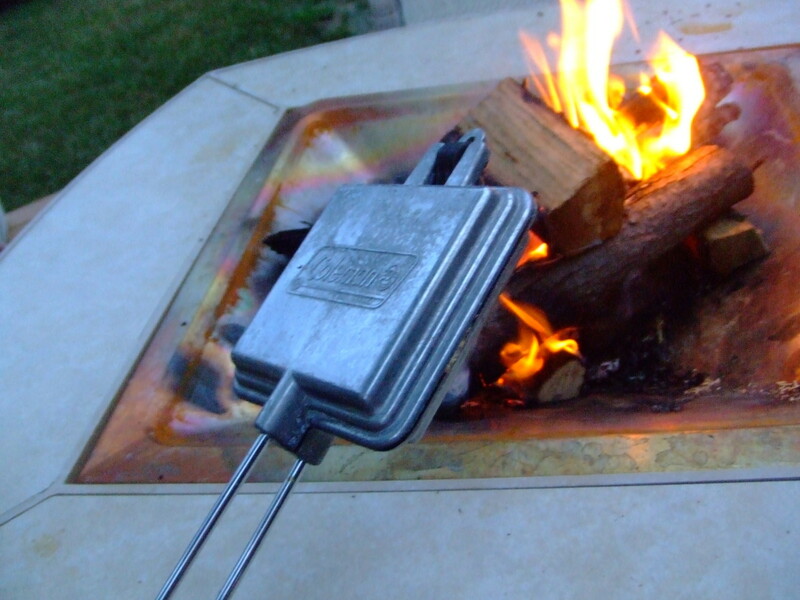 These can all work - your tent will certainly be waterproof- but they will destroy it in the long run. Another one is to apply ductape. I will be hard to remove, not to mention that it can tear the wall of the tent made of more sophisticated materials. The third piece of advice is to use a candle. Light a candle and make sure the drops land on the hole in your tent. Personally I find this very risky. You can set your tent on fire not to mention that if the wall is made of plastic that is not heat resistant, the hot fuzz will ruin your tent once and for all. You are much better off spending ten bucks than setting your tent on fire and having to explain to your loved ones why the weekend's camping trip is off. Would you rather buy a new waterproof tent, or upgrade your exisitng one? I would rather buy one. I would rather upgrade the one I already have. Waterproofing an old tent is easy and cheap. If you are not a regular camper, there is no point in buying a brand new, fancy waterproof tent for just a one-off trip. You would be better off by buying a tarp, applying a seam sealer and a waterproofing spray. It will cost you no more than a few bucks, and you will receive the value of great times with your family. 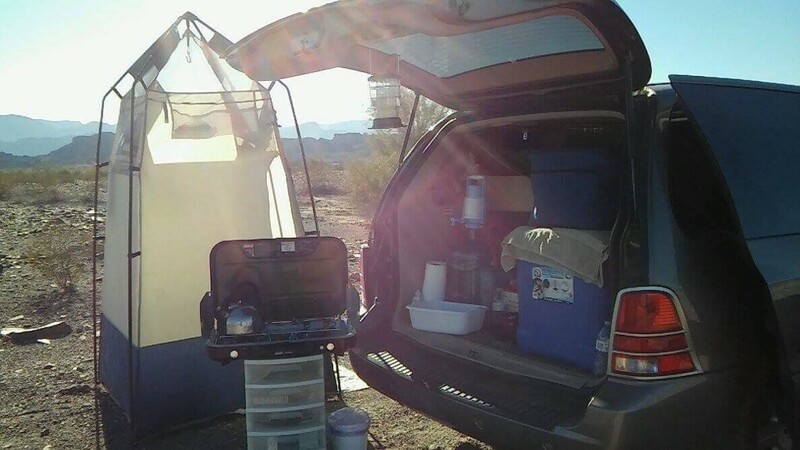 Turn Your Minivan Into a Camper! HomeDepot carries a product, "Starbrite Waterproofing with PTEF". Supposed to be good for boat covers, umbrellas, acrylic cushions, and tents. Anyone know about this product?